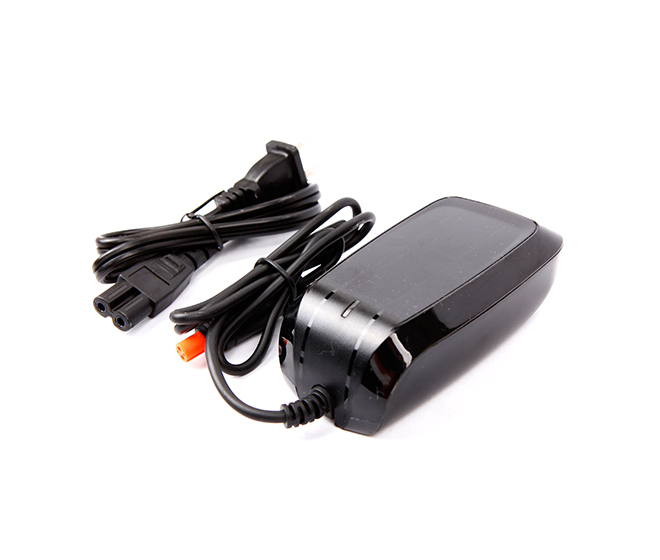 MJ-6090 bike light battery pack with 8*18650 LG Li-ion cells, 7.4V 10.4Ah. 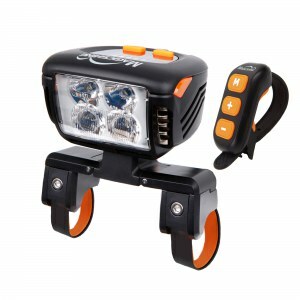 On the Eagle F3 bike lamp, this battery provides 2.4 hours of runtime on full brightness, 32 hours on the lowest setting. 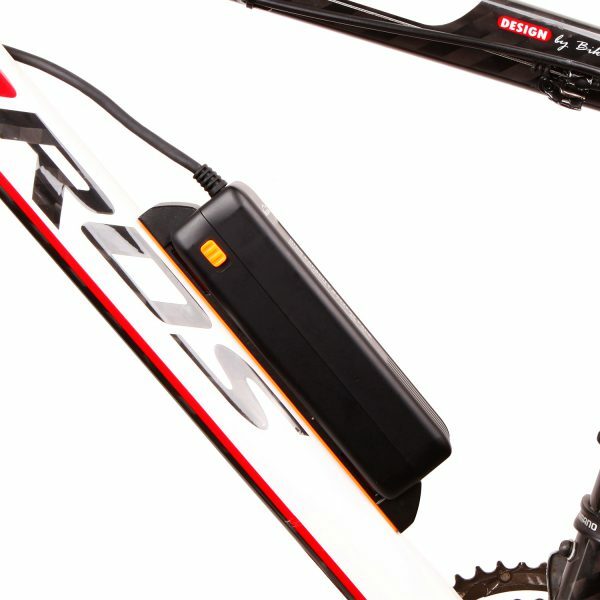 This model of bike light battery weights at 510 grams, 18 oz. 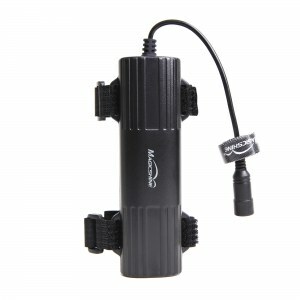 The MJ-6090 battery pack is compatible with Magicshine lights MJ-908, Eagle M2 and the Eagle F3 with the orange 4 pin plug. 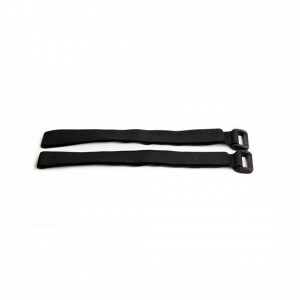 It is NOT compatible with Monteer 6500 and Eagle F3 with black 4 pin type plug. 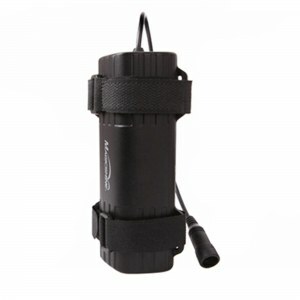 This bike light battery pack has its own mounting system, which takes place of the water bottle holder and is screwed onto bike frame then fastened with nylon strap for a super secure installation. The battery conveniently clips on and off. Please note the mounting system is sold as a separate accessory. 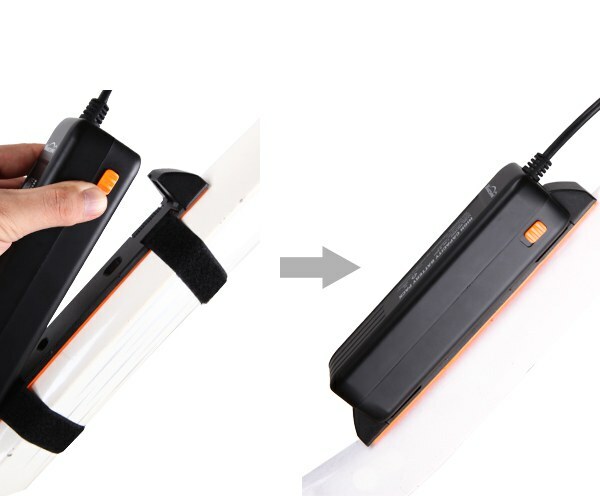 The MJ-6090 battery pack is compatible with Magicshine lights MJ-908, Eagle M2 and the new Eagle F3 with the orange 4 pin plug. It is NOT compatible with Monteer 6500 and Eagle F3 with black 4 pin type plug. 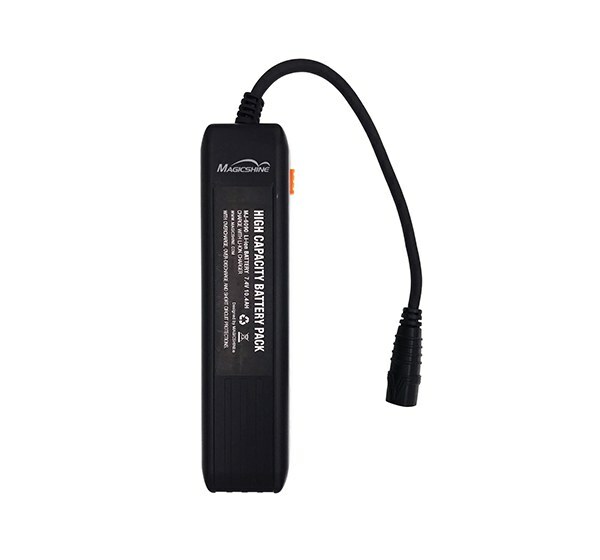 All Magicshine batteries include a circuit with over-charge, over-discharge and short circuit protection meaning you can be sure that your Magicshine battery is safe to use and charge. 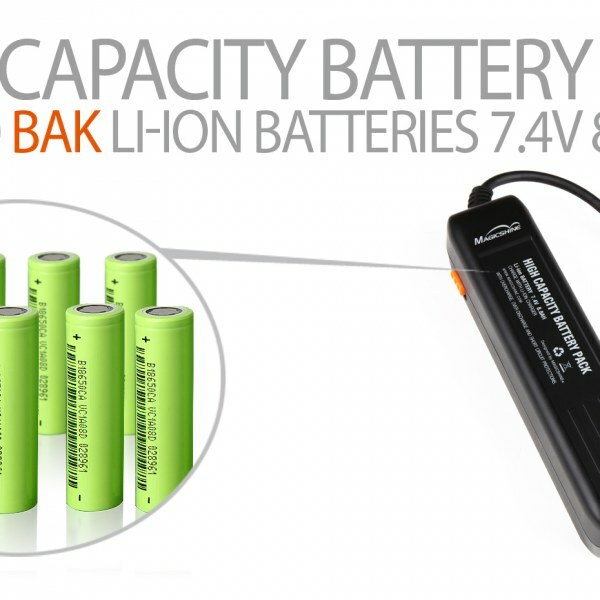 Ideal as a spare or as a replacement for an older style battery that’s run its course.